Keeping your root password similar in all of your ESXi hosts, is one of the virtual environment key methods to control and maintain large environments. It will make it easier to connect directly to a host in case of vCenter failure, access SSH for troubleshooting and control it from DCUI. There is a great one-liner by Kelvin Wong, that allows you to get a list of all of the VMhosts that have different password than the standard one. $rootpassword = Read-host -assecurestring -prompt "Please enter local root password"
The file created by this script, contains a list of hosts with root password different than the one typed as input. We will reduce the run time of the script, by using parallelism of the hosts check. 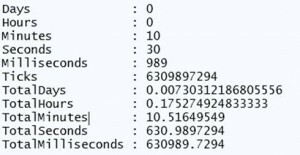 Multi-threading in PowerShell. Function CanWeAddJob() is checking what is the running job count in your PowerShell session, and determine whether to add more job, or not. In this example, it does it to a maximum of 10 parallel jobs. Foreach is here to split the long VMHosts list to many separated tasks. It will only add task to the running job queue, if the queue have less than 10 jobs. PSSnapin was added to each of the new powershell.exe instances created, with RunAs32 parameter, to make it take less RAM of your server / workstation. 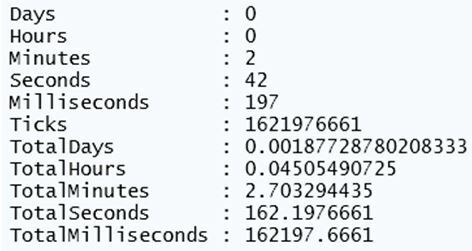 Can you guess what was the run time of the multi-threaded script? 2:42 min, which saved me 75% of the original run time. I’m here to help you with automation for the 3rd task. 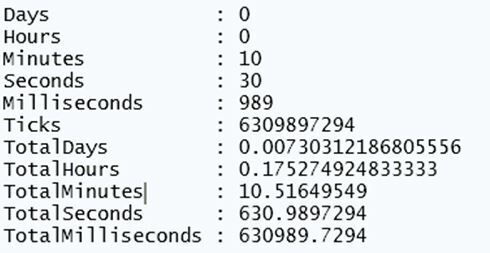 The amount of steps required for detaching 1 device off 10 hosts cluster, is 10 steps (or 10 detach operations). Detaching 20 devices off this cluster will result in 200 steps, which can be very tedious task. This script is written in PowerCLI, VMware KB shows more ways of detaching disks. return $mydate = $mydate.ToShortDateString() +" "+ $mydate.ToLongTimeString() +" "
Variables will contain a list of naa devices, and it is your job to determine what should be declared for detach by the end of the script. In the end of the mapping script I added an example I used – filter for:All VMAX devices (both DS and RDM), that are not in use. 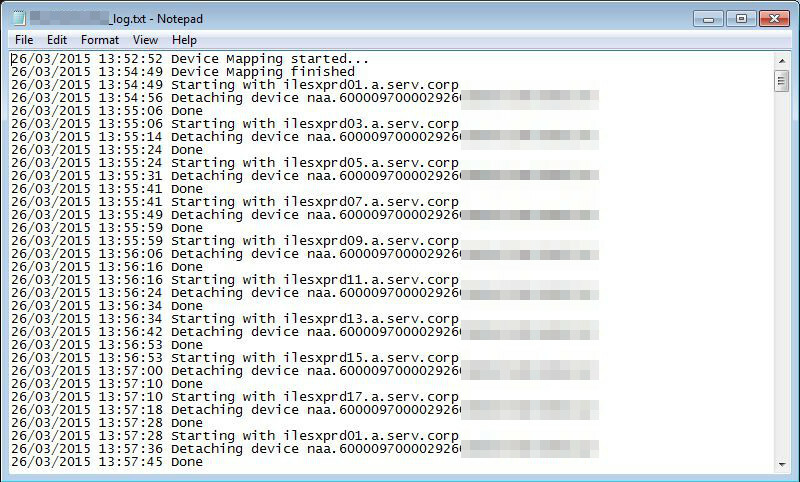 It will list the required devices in $DevicesForDetach variable. It is now time to use the list we created, ans start detaching disks, all tasks will be exported to a log. 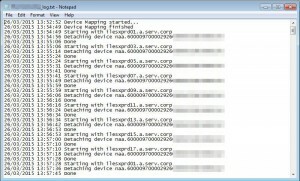 Write-Host "No devices to detach"
In this example, 19 devices were detached from 9 hosts, resulted in 171 detach commands to the ESXi hosts in the cluster. The script took less than an hour to complete it. Few weeks ago we had an issue with freezing VM, and the only way of getting out of it was to perform hard reset to the VM. 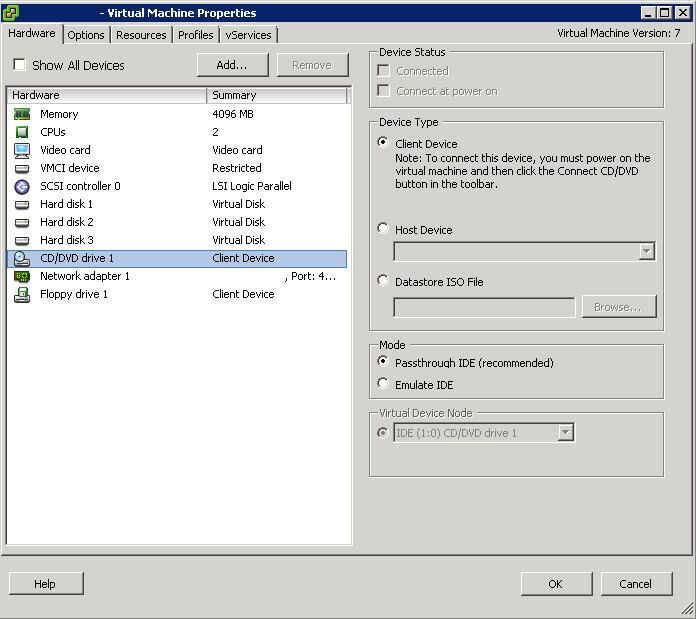 The procedure is well known – right click on the VM > Power > Reset. The command took quite a while to actually initiate the reset. I really wondered what happened there, so I started investigating it. It looked like TEST UNIT READY took 37min to complete! Only after this command finished, the VM reset preparation continued. So what is this mysterious command, and what took it so long to complete? vmx file indicates of an iso mounted to this VM. Not just an iso, but the VMware tools iso. Checking again from the guest OS side – and the disk isn’t mounted. So what just happened here? This KB has a low rating of 2 stars right now, probably since the solution didn’t include PowerCLI, right? Here it is. Works best on 64Bit PowerShell console. On enterprise companies, you might find a vCenter managing few DNS zones (a.serv.corp, b.serv.corp etc.). There might be a situation where there are few vCenters, each manages a different domain. Keeping track on HP iLO* IPs is easier when you register the iLO IP in the DNS, and use “ilo” as a prefix to each server – for example, esx01 iLO address will be ilo-esx01 and so on. It all works until it doesn’t, since host name changes, and maintaining it for more than just a few ESXi hosts can be demanding. Enters PowerShell. I’ll assume you have some PowerShell / PowerCLI experience, and you know how to add the right snapin, and connect to the relevant vCenter(s). $uri = "https`://" + $h.Name + "/wsman"
Get-WSManInstance -Authentication basic -ConnectionURI $uri -Credential $credential -Enumerate -Port 443 -UseSSL -SessionOption $option -ResourceURI "$baseUrl/$class"
Using System.Net.DNS .Net class isn’t enough for us, since we want to query few domain DNS servers. Please note that this module might not work well on 32Bit PowerShell version, so use 64Bit PowerShell console. From this point, the script itself is straight forward, gathers all the data required including: vCenter Name, VMHost Name, Domain, iLO-IP, iLO-DNS. * HP iLO is referenced here, script will work for any other IPMI technology such as Cisco CIMC, Dell DRAC, etc.